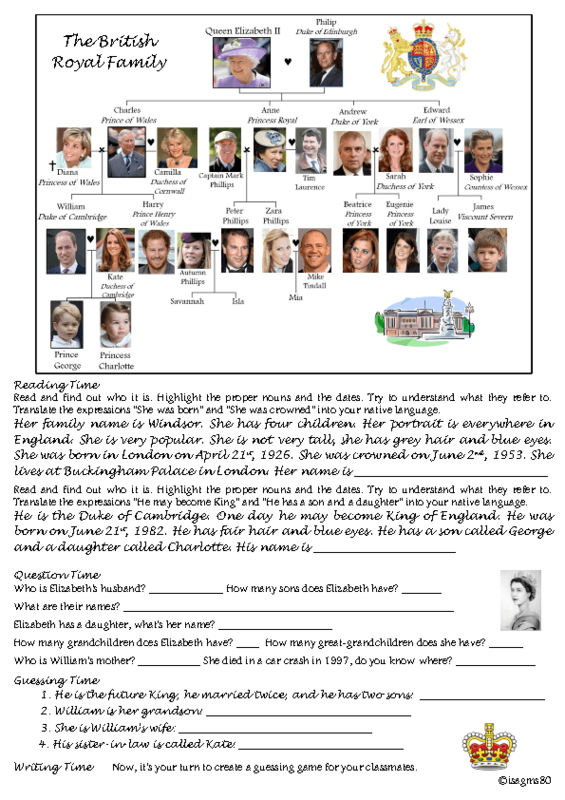 This worksheet is about the British Royal Family from Elizabeth II to Princess Charlotte. Students have to read and answer questions about the members of the Royal Family. There's also a guessing game. Then students can create a game for their classmates, write a question or a riddle, swap their notebooks or their worksheets and try to answer their classmates' questions and riddles.